I have begun Coaching within the largest UK residential lettings corporation. The Managing Director and the Lettings Director are forward thinking and proactive, they realise the benefits of supporting their staff during company restructuring and developing all involved from those working at the forefront of the corporation, those behind the scenes and right the way through to head office. I am looking forward to the beginning of July when I will begin NLP Training there. Another successful positive change for another young woman in becoming a non-smoker. I’ve developed smoking cessation that works long term in usually two to three sessions. Many people that have experienced ‘one stop cessation’ elsewhere have reported that it is not as effective long term as the methods I use in the three stop cessation clinic I run. 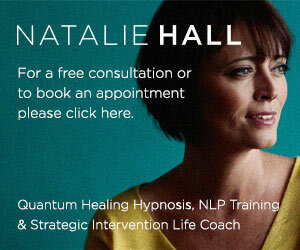 I use a combination of Coaching with NLP to provide awareness and choice. I then use advanced methods in hypnotherapy, and techniques including Time Line, Swish, Anchoring and positive suggestions this enables success to be achieved easily. I provide a new C.D. each week aligned with progress, this is played daily to reconfirm the changes and new healthy habits. The result to my clients mean they cut down the amount they smoke after the first session usually by half, and stop smoking completely between the second and third session.